If you asked 10, even 5, years ago if I would ever run a race, I would have laughed in your face and accused you of being crazy. About a year ago, I got the crazy idea to sign up for a Spartan race and give it a go. 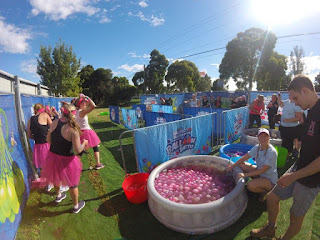 Since then, I’ve been pretty obsessed with doing various obstacle course race and fun runs in Melbourne. Around the Christmas holidays I participated in Operation Blackhawk, but most recently I ran in the Miss Muddy 5k Fun Run. Like most of my life decisions, I decided to sign up for this run a little last minute. Luckily, they were still in need of volunteers. 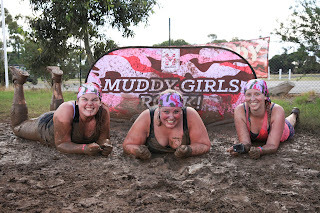 For those who have never participated in an obstacle course race or fun run before, when you wait until the last minute to book a ticket it can be quite expensive. 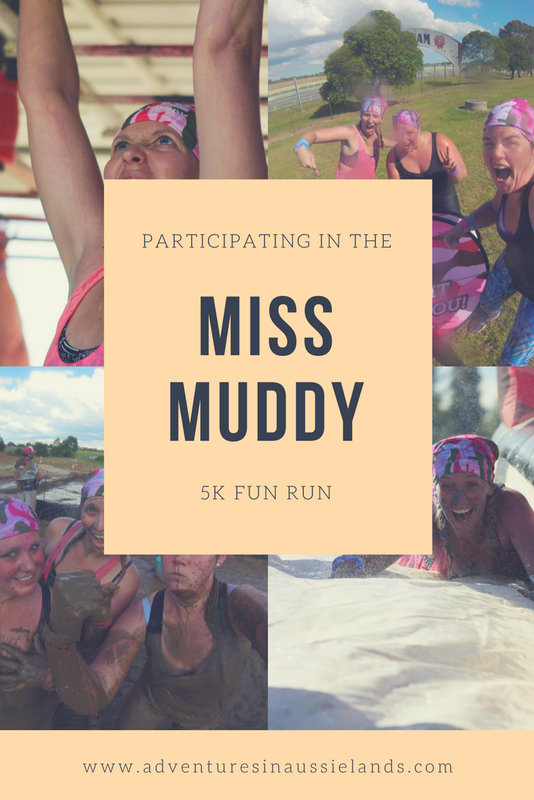 With Miss Muddy, you had the option of volunteering and then run the race for free. This was the perfect option for me (an excellent choice for those who want to give fun runs a go but don’t want to pay the money). The day of the event, morning volunteers were to arrive at 7 am to find out their assignments and get settled. Luckily I was with two friends who helped share the pain of early Saturday rises. Even better was the host of event insisted on keeping all friends together during their volunteer shift. Of all the obstacles, we got the most labour intensive and the most entertaining. For four hours, we were assigned to the water balloon fight section. Filling up water balloons for four hours does sound a little boring, doesn’t it? Nope, it wasn’t! We had our own DJ booth with music to keep us motivated. Plus we were running low on water balloons, we just sprayed the runners with the hose. It was lovely getting to see the various groups come through and see everyone having fun. After our volunteer shift had ended, we were brought back to the starting line. We decided to have a quick bite to eat (hangry was starting to set in) before starting the run. We all had our limitations for the run, I was just coming off a torn tendon in my thigh, but it didn’t matter. We were going to run the race at our own pace and enjoy ourselves while doing so! That mentality was the perfect one for this fun run! We took our time on the run. It didn’t matter what fitness level we were at. We started together, we were going to finish together. Each obstacle was incredible. The more difficult ones, we supported one another and helped us successfully complete that obstacle. The easier and more fun obstacles, we took our time and enjoyed. Not to toot our own horn but I was incredibly impressed with all that we were able to accomplish. I have never been able to complete any monkey bar related obstacle in any race before Miss Muddy. 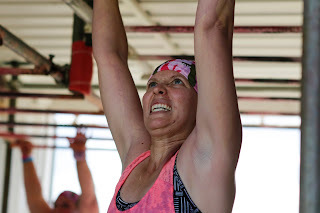 Because of how incredibly motivating my teammates were, I stepped up the monkey bars with all the confidence in the world. Next thing you know, I’m on the other side. I didn’t just complete the obstacle, I slayed it! Don’t judge, monkey bars are a lot harder than you think. Especially when you have the upper body strength of a toothpick. Not my best look. But I did it! The rest of the run was spent enjoying ourselves. While we definitely didn’t overexert ourselves, we did push and challenge ourselves. It was an incredible experience to share with friends. 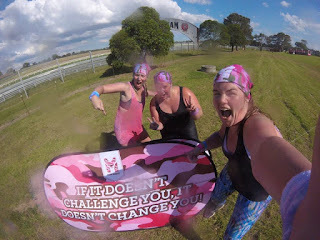 That is probably what I most enjoy (and why I highly recommend) about obstacle course races. Everyone tends to be incredibly supportive. If you can’t complete an obstacle, you can bet there will be other runners out there who are going to try their damn hardest to make sure you’re able to do so. 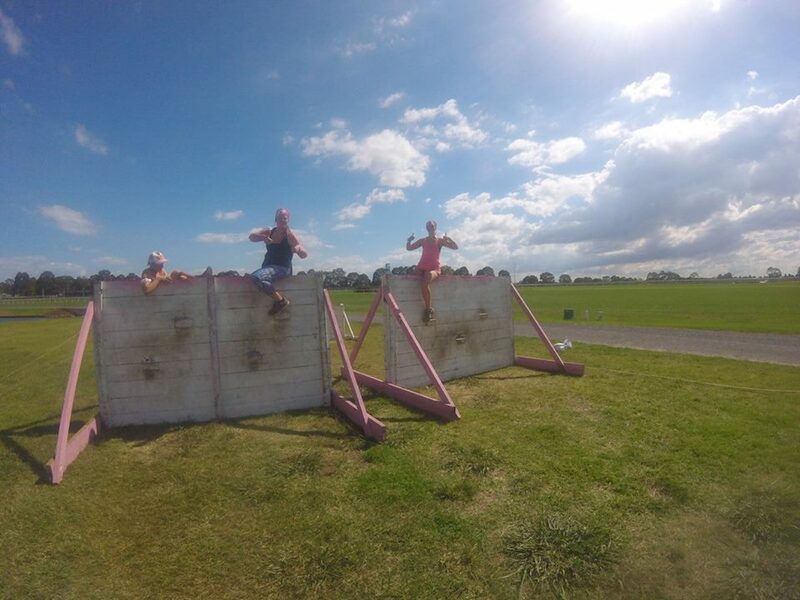 If you’ve ever run in an obstacle course race, what did you think? It was an amazing experience. You should join your friend the next time she does the race! They're so much fun! How cool! I miss doing races, (knee injury, oops) but I love seeing other people doing them! They are a great experience and you feel extra healthy, even though you may not be, afterwards! �� Looks like you had a great time, congratulations! It was a fantastic time. Sorry to hear about you knee. Maybe you could do one of the fun walks!! Your pics made me smile! It definitely looks like you had a lot of fun! It was so much fun! I highly recommend it! You go girl! 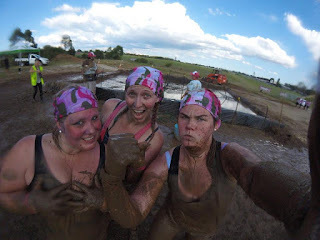 I did one mud run and I was one and done! Congrats on completing! Thanks! Did you enjoy the run you did? The beautiful thing about Miss Muddy was that it didn't matter if you ran or walked. It was all about challenging yourself and having fun. 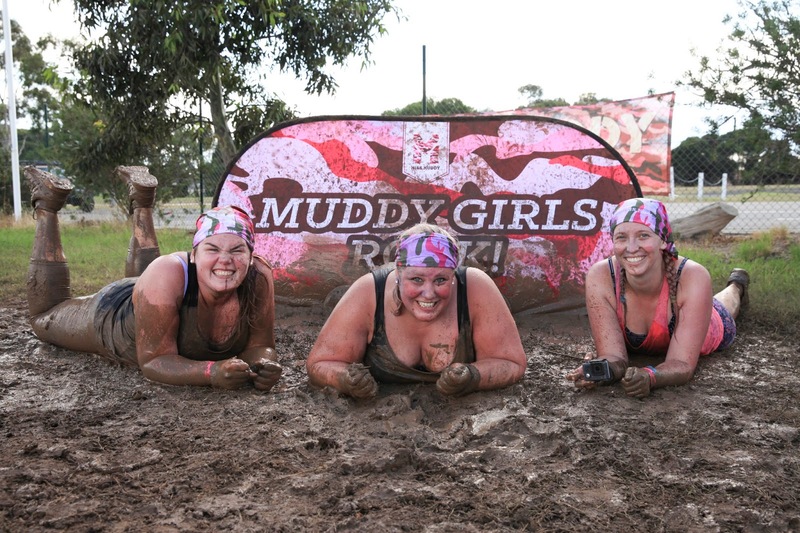 I think Miss Muddy would be just the race for you!! The feelings that you describe are quite similar to how I felt when I did the Camp Pendleton Mud Run. I never thought that I would do such a thing but was so proud when I finished. Exactly! I always feel so accomplished once I finish no matter my time. How was the Camp Pendleton Mud Run? I always wanted to participate when I was living in Southern California but never did. Great and very helpful post!